12-year-old Aislinn spent the night before Valentine's day making cookies for her classmates. The kind-hearted gesture you think would be met with gratitude, instead drew derision from her fellow students. Not only did she not get any Valentines, her classmates made mean comments about her weight. Writing in Love What Matters, Abby Howell explained the cruel taunts that were thrown at Aislinn. "Aislinn got home still in tears." Howell was a fast friend of the Aislinn's family, and her daughter had been Aislinn's friend since they were young. Speaking on the phone to Aislinn's mother, she could her that her friend was upset over her daughter's treatment. "She told her mother Kristin that was the worst Valentine’s Day ever. She never wanted to go to school on that day again. Kristin called me crying and told me what had happened. I was so angry and hurt by what had happened to Aislinn." 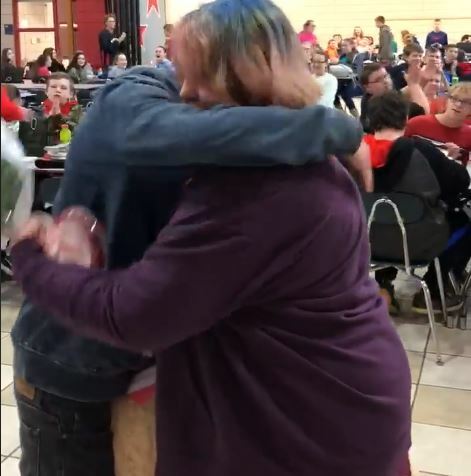 Howell's 15-year-old son, Isaiah, decided to do something about it, to give Aislinn the Valentines she deserved. 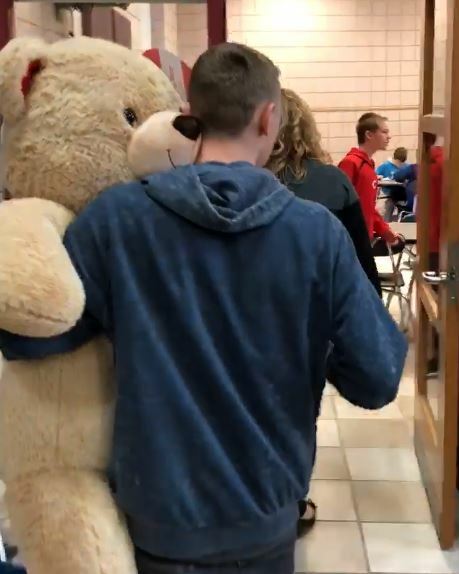 He arrived into the canteen the following day, carrying a giant teddy bear with flowers. 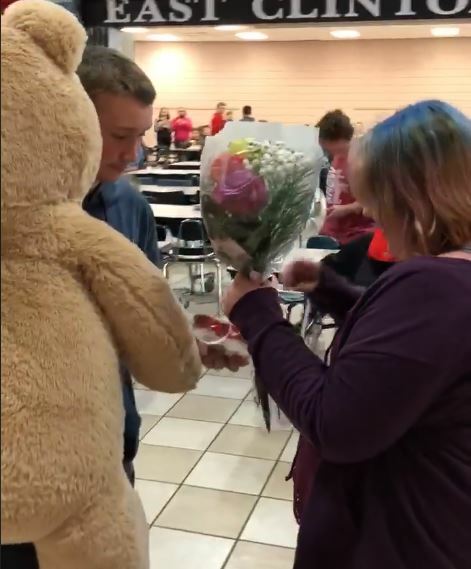 He asked Aislinn in front of her classmates and bullies if she would be her Valentine. 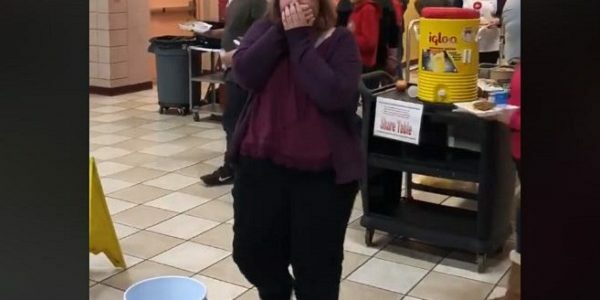 Of course, the delighted girl said yes, and the canteen erupted in applause. "Aislinn is still on cloud nine. Our families have always been close and we all love each other very much and cannot stand for the hurt that was caused to Aislinn," Howell continued. What a true gentleman, it definitely made Aislinn's day!